IT compliance and security necessities require you to track Exchange Server mailbox permission changes. Anyone with full access permissions to another user’s mailbox has unrestricted access mailbox data which they can potentially compromise. If a “C” level executive’s account has been compromised, a data leakage incident can be devastating to the reputation and bottom line of the business. 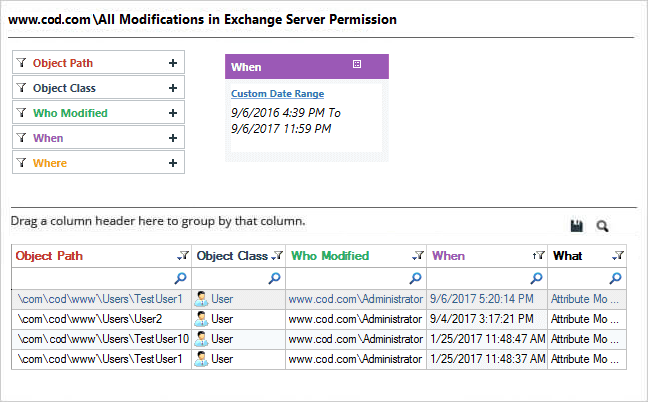 In this article, you will learn how to track Exchange Server mailbox permission changes (first with native auditing methods, and then with LepideAuditor). As shown in the above image, in our lab, it is already enabled. Go to “Control Panel” ➔ “Administrative Tools” ➔ “Event Viewer”. You can also type “eventvwr” in “Run” box or at “Command Prompt” and press “Enter” key to access this window. 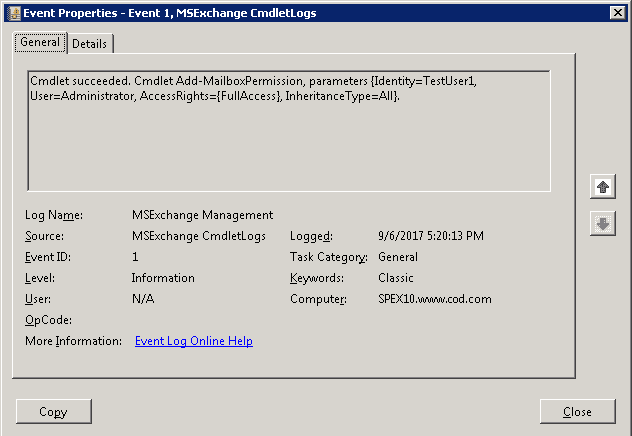 Navigate to the “Applications and Services Logs” ➔ “MSExchange Management”. Search for the logs with cmdlet “Add-MailboxPermission”/”Remove-MailboxPermission”. In the result, you can find all the logs with this cmdlet. To get more information about the event, double-click on it. For example, the following “Event Properties” image taken in our lab shows a permission addition event. The cmdlet shows that “Administrator” has been given full access right over the “TestUser1’s” mailbox. To find out when the permission was granted, check the “Logged” field. To get other details, click on the “Details” tab. Now, we will show you how to track the same changes using LepideAuditor for Exchange Server – hopefully demonstrating how much easier and more powerful this method is than native auditing. 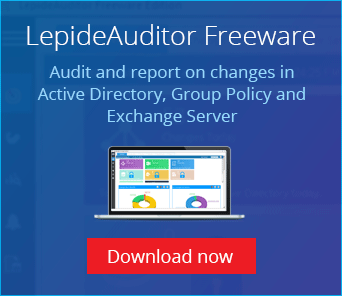 LepideAuditor gives complete visibility into your Exchange Server mailbox permission changes. The predefined audit reports provide complete audit information that enables you to take quicker, more intelligence driven action to keep your critical servers secure from privilege abuse.